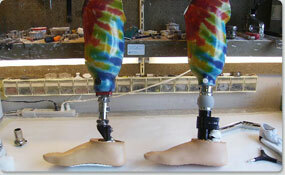 Lower body orthotics are devices attached to the lower body which improve function and assist in healing. Preferred O & P Services fits patients throughout Western Washington with orthotic devices. Preferred O & P Services practitioners expertly fit their patients with lower body orthotic devices and carefully monitor their progress. Patients who require lower body orthotics may have suffered a traumatic injury or have a chronic illness. Diabetic patients benefit from lower body orthotics to address neuropathy. Patients who undergo knee replacement surgery benefit from lower body orthotics during their rehabilitation phase. In order to achieve the best results from orthotic devices, patients should follow the protocol set forth with their orthopedist. At Preferred O & P Services, we take great pride in helping our patients regain functioning with proper use of orthotic therapy. Preferred O & P Services practitioners are American Board Certified and comply with their high standards of orthotic care.